Ray Martin Electrical are Gladstone based electricians servicing the Gladstone and surrounding area. The team of experienced, qualified electricians service all areas of electrical repair & installation for both the home and business. From installing power points to installing complex electrical services, be assured that we have the experience to get the job right the first time. Ray Martin Electrical is committed to maintaining a superior level of quality service and communication with the client on all levels when performing electrical work for your home or business. 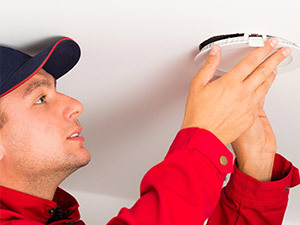 Our objective is to provide electrical services that exceed all of our customer’s expectations. With vast experience and knowledge in the electrical industry you’ll be 100% satisfied with Ray Martin Electrical for all your electrical wiring and lighting needs. When choosing an electrician for your needs, choose Ray Martin Electrical for guaranteed quality and safety. Call us for affordable and friendly workmanship coupled with a strong commitment to customer satisfaction.